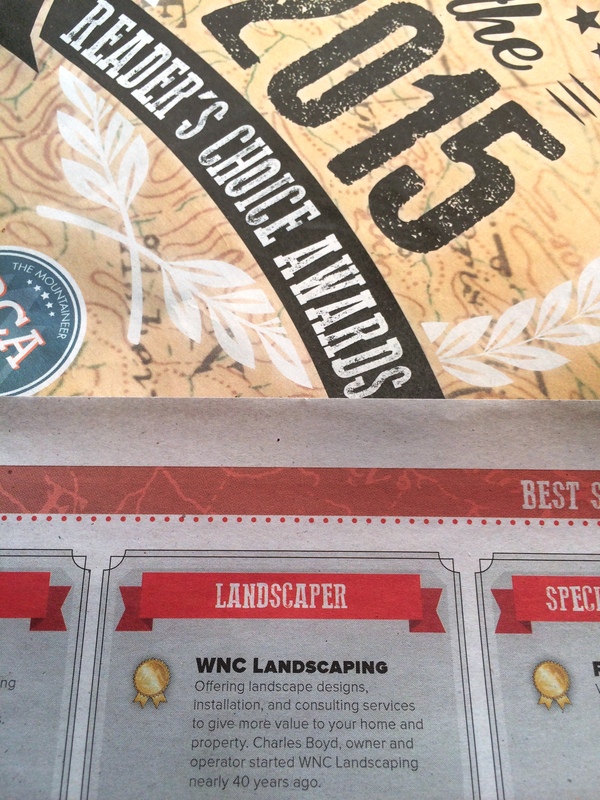 On January 29, 2016, The Mountaineer newspaper of Waynesville, NC published their annual 2015 Reader’s Choice Awards. The paper opens voting among members of the community as it’s readers to vote for local food, entertainment, people and businesses that make Haywood County great. WNC Landscaping had the distinct honor and privilege to receive the gold metal for 1st place in the service of landscaping. Owner, Charles Boyd, commented, “…this is an exciting honor and one that means a lot to me, my family and my crew.” Co-owner, Brian Boyd added, “being nominated by the people you live by and serve among many other worthy landscaping businesses is the biggest honor we can ask for.” Charles Boyd started WNC Landscaping over 40 years ago and takes pride in his personal customer service experiences and in his business mantra which is, “Quality is Our Business!” Thank you to the citizens of Haywood County and to The Mountaineer and it’s readers for voting us #1 in landscaping service for 2015! Again on January 30, 2017, The Mountaineer newspaper of Waynesville, NC published their annual Reader’s Choice Awards and topping the list once more at Best Landscaper was WNC Landscaping! I truly is an honor and a privilege to live, work and serve the finest people. 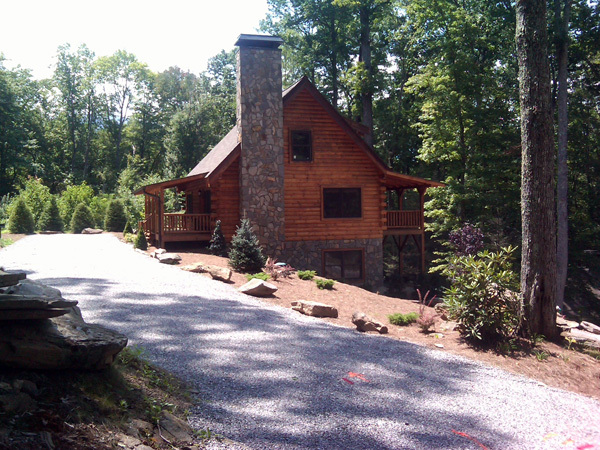 WNC Landscaping is proud of the work and vast knowledge we have in doing just what our name says … we enhance the landscape of property around western North Carolina. Sometimes, though, our customers are restricted with property access but still want an natural landscape experience with their home. One of our latest projects involves bringing a touch of nature indoors. 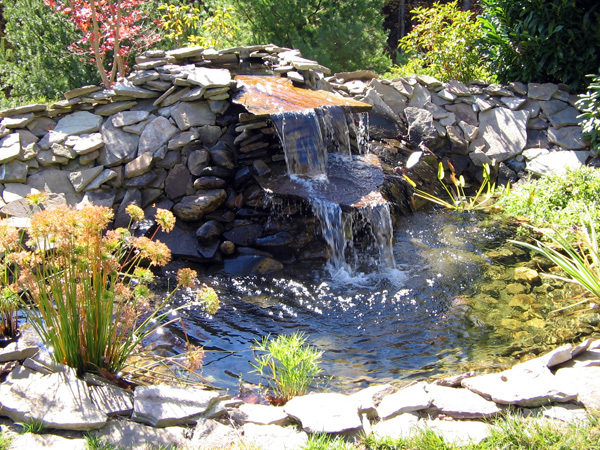 Licensed landscaper and certified irrigation specialist, Brian Boyd, has limitless talent with designing and installing ponds and waterfalls. Brian worked with a customer to add a “waterwall” to an interior space. The waterwall now graces their living space year-round and provided a one-of-a-kind enhancement to their home value. 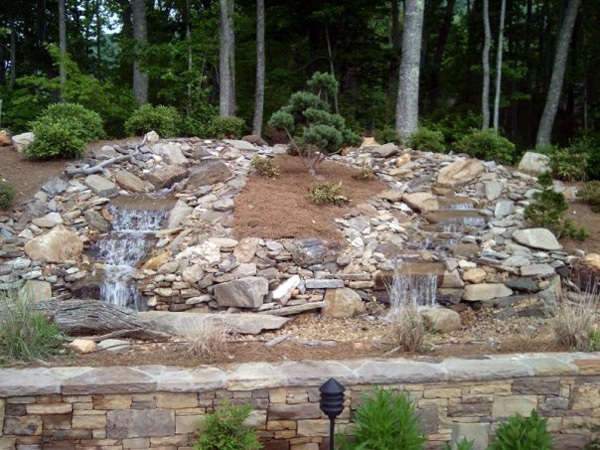 Whether you have a room, porch or patio you would like to provide a similar enhancement with a waterwall, contact WNC Landscaping for a free estimate. 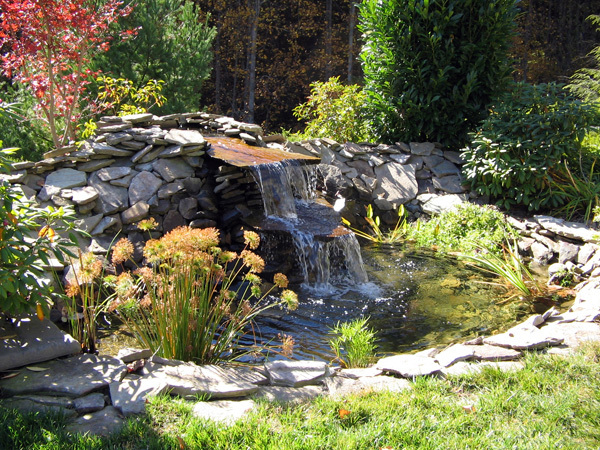 Check out some or our other waterfall and pond designs in our portfolio for additional inspiration. We would love to bring a touch of nature’s landscape indoors for you. 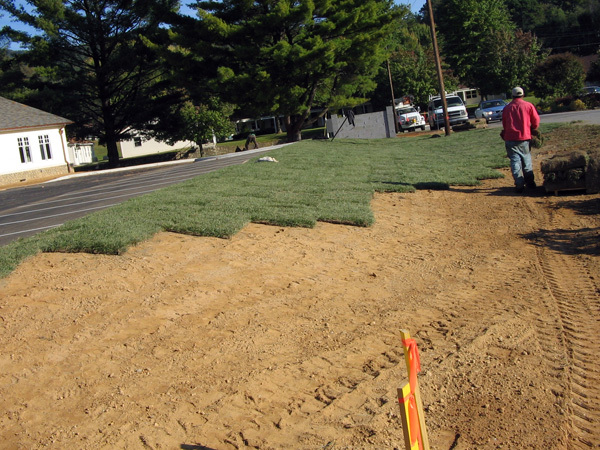 WNC Landscaping boasts one of only a select few individuals in the entire state of North Carolina for being CERTIFIED as an Irrigation Specialist. 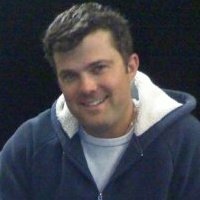 Brian Boyd, landscape designer, received his certification from the North Carolina Irrigation Contractors’ Licensing Board in 2011 and maintains educational credits and status as a certified irrigation contractor in our state. With Spring comes the excitement of warm weather comes the anticipation of outdoor fun and relaxation but also the dread of cleaning, repairing and restoring our outdoor spaces from the damage of winter. After a particularly harsh winter for most of us, our grasses, plants, walls, borders, trees and specialty water or visual features likely suffered damage. For many, the tasks of debris removal, leaf raking and minimal pruning may even be a difficult task. 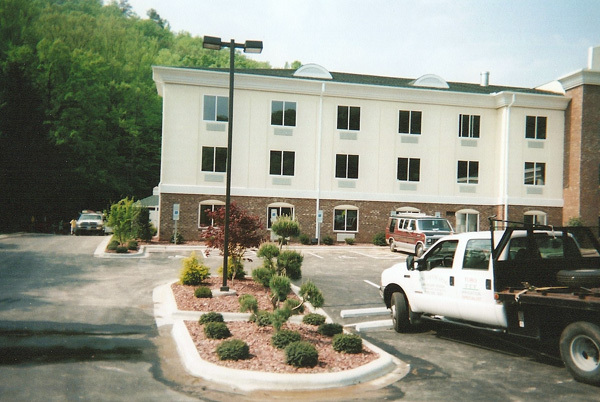 WNC Landscaping is available and ready to serve your residential and commercial landscaping needs this Spring to get your property looking it’s best for the warm weather and to let you enjoy the precious time you have to spend in it. 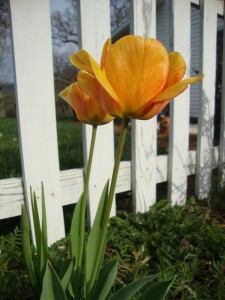 1) Removal of limb & dead organic debris, preparing bedding for flower planting including delivery of topsoil and/or mulch, taking care of the first lawn cut of the season, and trimming and pruning trees and shrubs and providing further weekly and bi-weekly lawn services for those interested. 2) Upgrading or redesigning of the landscape for a fresh or updated look to your property and to enhance curb appeal and increase property value. 4) Patio installation and or patio/outdoor space repair work including stone repair for patio surfaces or just in the case of stepping stones that may have sunk, become broken or moved. 5) Pruning of shrubs, bushes and small ornamental trees (under 12 feet), to promote new growth and remove broken limbs from winter; or to reshape for spring. 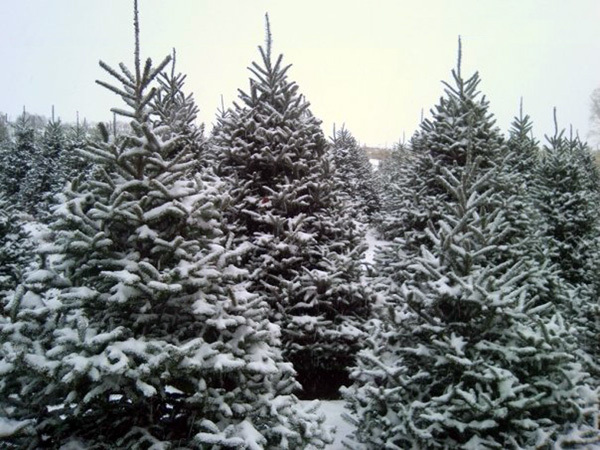 6) Tree planting while there is time in the early spring to provide needed shade for areas of the home hit with sun to aid in energy conservation and reduce cost associated with cooling your home in the summer. 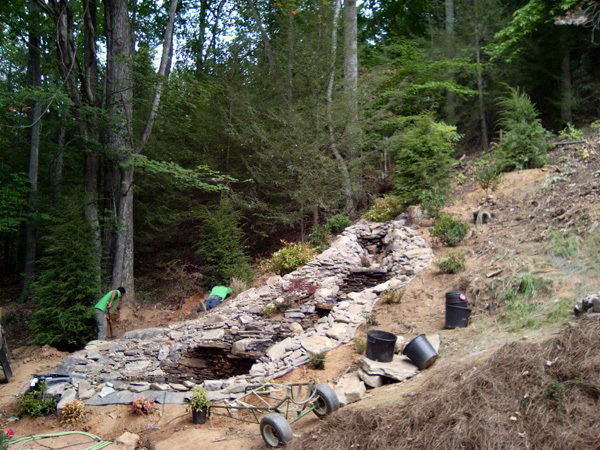 7) Clean and de-winterize irrigation systems, waterfalls & ponds for use. Repair any lines or pump problems or issues damaged from winter freezing. Don’t get overwhelmed by the work that awaits you outside. Don’t let that work keep you and your family and friends from enjoying the beauty and peace of outdoor living. 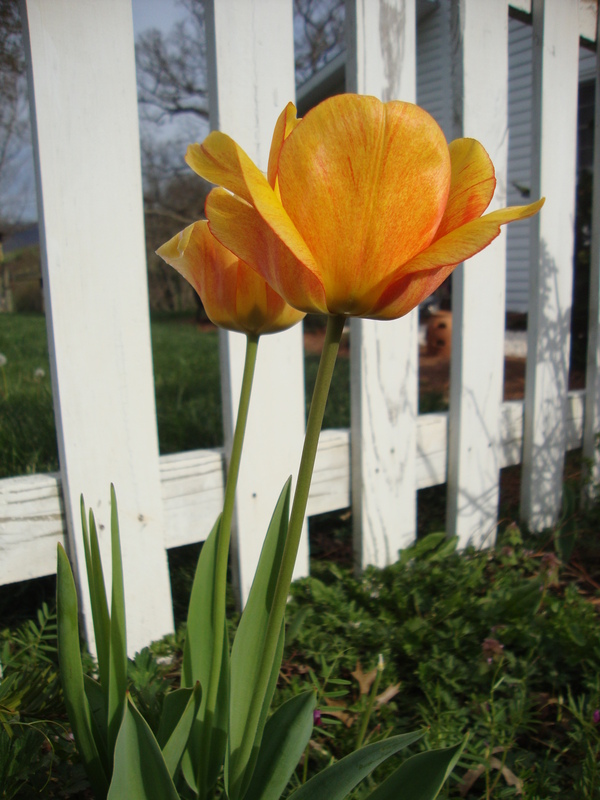 Let WNC Landscaping get your outdoor spaces and landscape “ready, set, go!” for Spring! 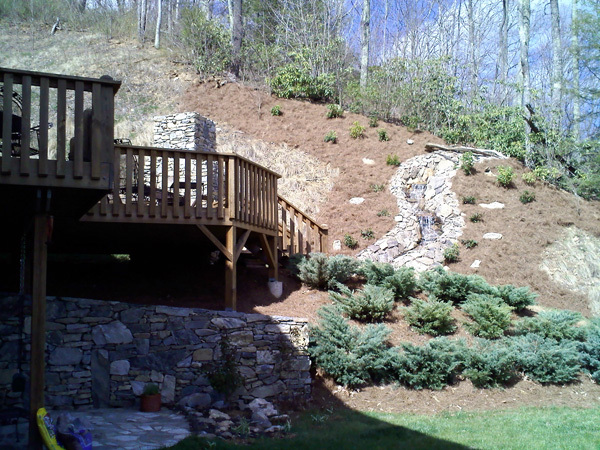 Call WNC Landscaping in Waynesville, NC today! 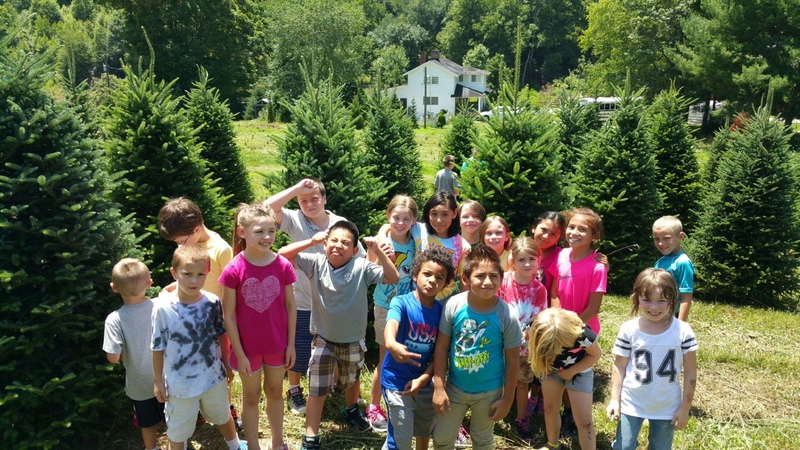 On Thursday, July 9, 2015, WNC Landscaping had a wonderful and welcomed visit from the summer camp students at Clyde Elementary School in Clyde, NC. 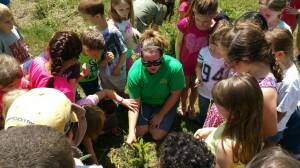 The young people ranged in ages from five to twelve and were led by Brandy Hyatt Littrell, After School and Summer Camp Coordinator (and former student of Mr. Boyd) and several other adult leaders. The students were pleasant, attentive and asked wonderful questions despite it being a hot July day. 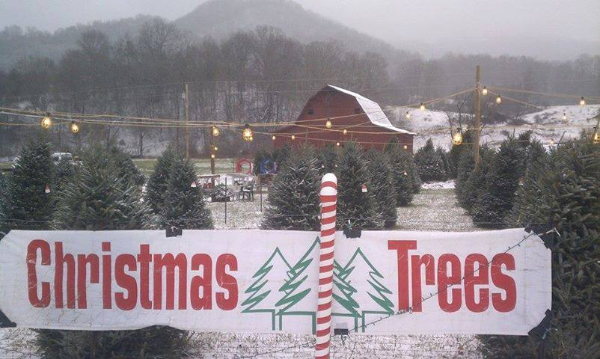 Students learned about the Fraser fir trees grown by WNC Landscaping & Christmas trees and how these trees are an important part of agriculture and economy in Haywood County and in North Carolina. 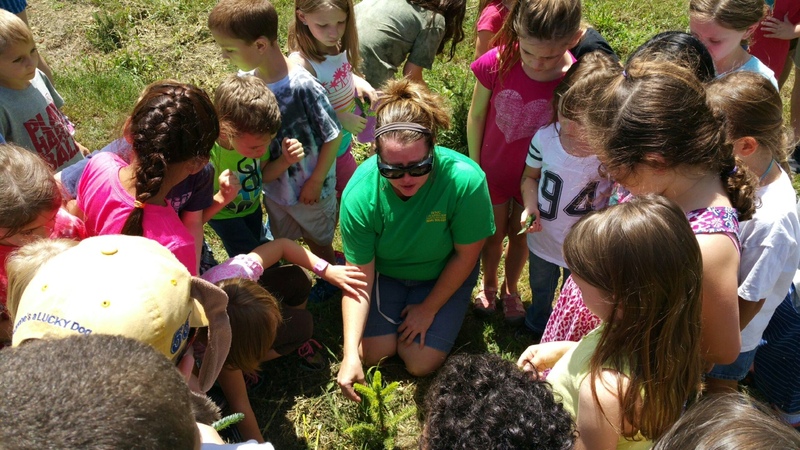 The students examined young tree seedlings up to mature trees ready for harvest in the late fall. WNC Landscaping & Christmas trees had the students investigate the field and the trees and were encouraged to ask any questions that came to mind. A favorite question asked by one young lady was, “what colors do the trees grow?” One very bright young man inquired as to what kind of seeds are on the trees and how do we get the seeds to grow into trees. The minds of these young men and women were amazing to watch and we encourage any of them to come back and visit as well as to look into agriculture and farming in North Carolina, especially in our home of Haywood County.